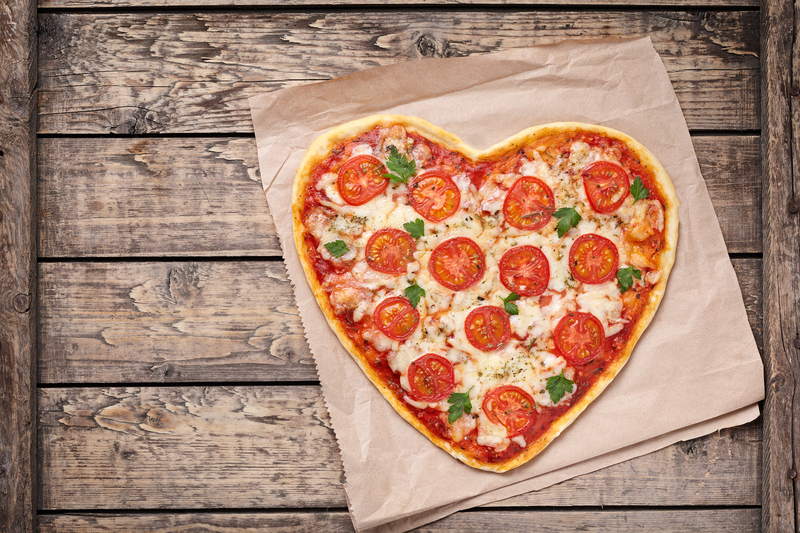 Yes, you CAN eat pizza and still lose weight. But NO, you can’t burn off a large pizza with exercise. That’s the good news and bad news you’re getting in today’s TT diet update. New research from Portugal (hmmm, thought it would be from Italy? ), discovered that you can lose weight even if you have pizza for dinner once a week. So much for the Pizza Diet. Worse, most people think they can eat a large pizza (at about 350 calories per slice) and then burn it off the next day on a cardio machine, but they are dead wrong. It takes about 30 minutes of boring cardio exercise to burn off a slice of pizza. If you have 3 or more slices, you’ll be on the machine for hours, and end up hurting yourself with an overuse injury. So what’s the solution to including pizza on your weight loss diet? The key is to plan ahead and designate a specific day for your reward meal. Having a reward meal helps you say NO to temptation on the other days of the week. Having a reward meal gives you something to look forward to, but keeps it in a healthy, positive lifestyle approach to weight loss. And having a reward-meal mindset helps you avoid going overboard… and getting back into bad habits. I know too many people that turn a cheat meal into a cheat weekend into a cheat month… and end up heavier than when they started the diet. So, yes, you can have your pizza and eat it, too…just not much and not too often. …cheap ingredients, like white flour, sugar, and trans-fats used by the big pizza companies, cause a LOT of inflammation in your belly. Belly inflammation leads to bloating and a tight waistband. So if you want a slim belly, you really need to check this out. And that’s the bottom line about pizza. PS – Here’s a great way to kickstart the week! Invest in yourself for the sake of others. Take care of your health and energy so you can deliver maximum love, life, laughter, and living to those that matter. Place a high value on your time. Don’t let others steal it away through insignificance. Remember…every moment wasted in meetings, traffic, surfing the web, gossip, etc. steals it from your children, your spouse, and your well being.